As a result of the Minister for Education’s decision to close Thomas Hepburn Community Academy (THCA) at the end of August 2019, the catchment area for THCA has been allocated on a temporary basis to Heworth Grange School and Joseph Swan Academy. The Council is now seeking views from parents, schools, governors, academy trusts, local authorities and diocesan bodies to agree a permanent allocation of secondary school catchment areas from 2020. Please see below information regarding this consultation. We follow Gateshead Local Authority’s admissions policy for allocating places based on the criteria in the policy (see link below). 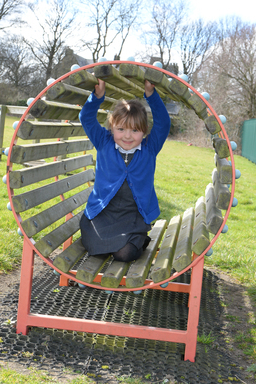 The school’s planned admission number is 45 for each year group from Reception to Year 6. Induction meetings are always provided for new entrants and their families. If you are considering the school for your child we would be happy to provide information and give a tour of the school to help you make a decision. Please telephone 0191 433 4111 or email felldykecommunityprimaryschool@gateshead.gov.uk to make an appointment. For Nursery Admissions parents/carers can apply for either 15 or 30 free childcare entitlement. For 15 hour entitlement children will be given either the morning or afternoon session. For 30 hour entitlement parents must provide proof of entitlement. Admissions are dealt with by our Administration Assistant, Mrs Michele Crabtree. Names are accepted from a child’s second birthday. If you are considering the Nursery for your child we would be happy to provide information and give a tour of the school to help you make a decision. Please telephone 0191 433 4111 or email felldykecommunityprimaryschool@gateshead.gov.uk to make an appointment.